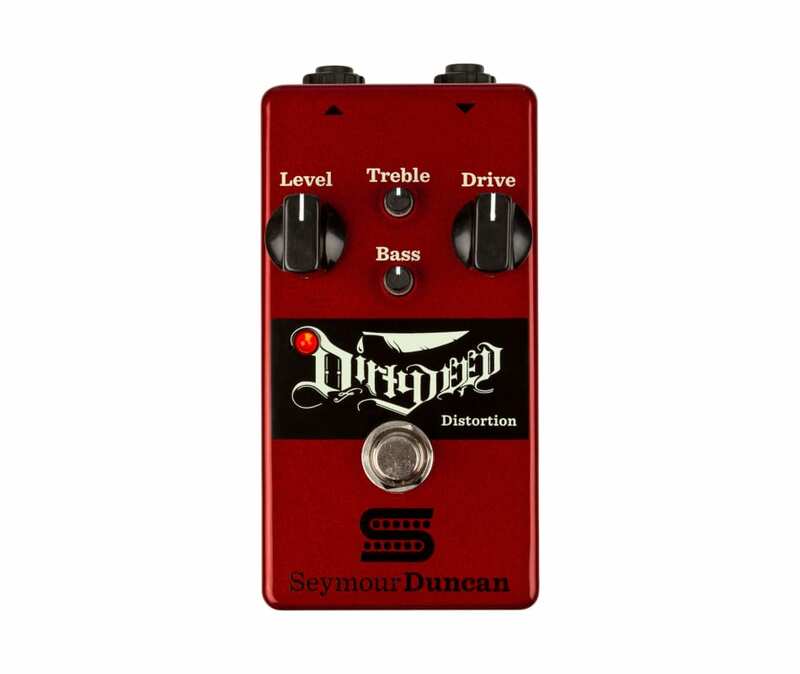 Unleash pure distortion madness with Seymour Duncan's Dirty Deed Distortion pedal. This Mosfet-driven tone machine gives you the satisfying drive and breakup you only get from red hot tubes pushed to the limit. When it comes to raw and harmonically rich breakup, the Dirty Deed Distortion starts at toothy and goes all the way up to down right savage. There are ever separate bass and treble controls onboard, so you can contour your tone to perfection. Next time you're thinking about punishing your power tubes, reach for your Seymour Duncan Dirty Deed Distortion pedal instead.